More than just an office. We are a business community! Yesterday we had a sold out event at Eastbrook Collaborative! (Technically it wasn't sold out because it was free, but you get the point.) 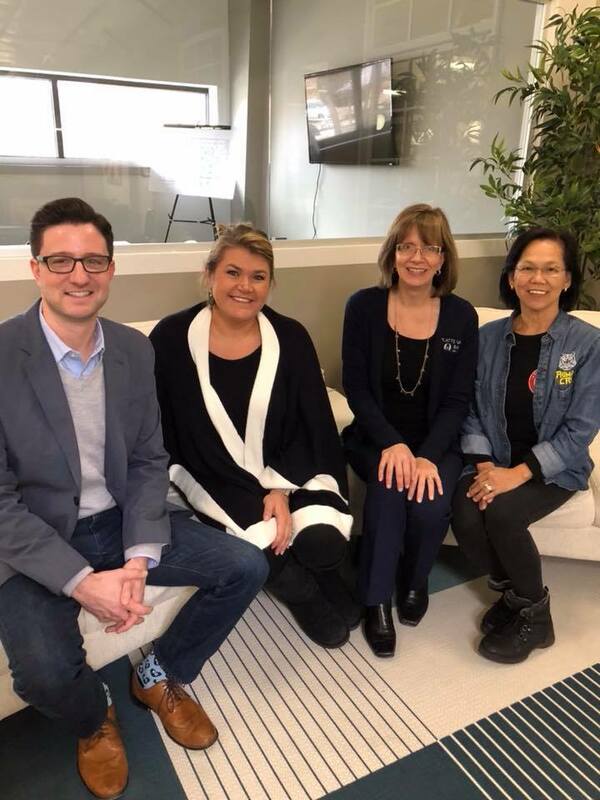 Eastbrook Collaborative, Platte Valley Bank, Grant Gooding with Proof, and Tasty Thai Cuisine all came together to offer a professional development seminar on the Science of Positioning your Brand. Business owners, marketing reps and sales people all joined us to hear Grant Gooding speak on one of the most unknown subjects, "Why do people do business with me?" It was a fantastic presentation, backed with statistical data, fun exercises and out of the box thinking. He proved that what we have thought about branding and our message is all wrong. He spoke on the scientific make up of the brain and why we react the way we do to information. He talked about how the brain holds ideas, images, and information. How we process information, store it, and how it is recalled. People don't realize what they are truly sending out to their customers may not be what you intended. He asked the question, "Is the message you are trying to convey to your customer a good message or are you actually hurting your brand?" Attendee's left the presentation with a whole new outlook on branding and what we say or not say truly does make a difference. Thank you to Platte Valley Bank and Tasty Thai Cuisine for sponsoring the event. We are a new collaborative work space designed to help the small business or team grow. If executive office suites and co-working had a baby, that would be us. With our deliberate collisions, collaboration and professional programming, we hope to help our businesses grow and succeed.